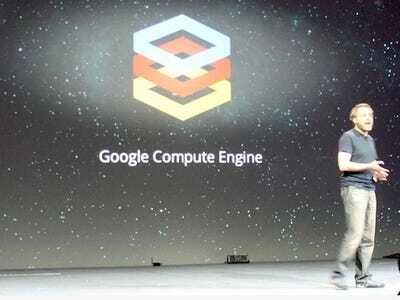 Google’s Compute Engine, a cloud-computing service, just scored a significant new deal. It signed up its first reseller, a company called RightScale, reports GigaOM’s Barb Darrow, who broke the news. RightScale offers what it calls a “cloud management platform.” It helps an enterprise automate routine tasks, monitor usage and monthly costs, control security options, and so on. RightScale works with other major providers of Internet-delivered computing power and storage, including Amazon, RackSpace, HP Cloud, and Windows Azure. RightScale’s product has always worked with Compute Engine since the cloud Google launched the cloud service with much fanfare in June. But now the company will also sell Google’s cloud to enterprises, and hold their hands if things go wrong. That’s a big deal for a lot of enterprises who want to know someone will always answer when they call. Darrow notes that the bigger partnership comes just a week after Amazon launched a new service called OpsWorks, which basically competes with some of what RightScale does. As Google gets more serious about its cloud, it has a chance to be some real competition for Amazon. No one knows how to run apps in the cloud better than Google. Plus, Google promises to be both faster and cheaper than Amazon Web Services.